Pharmacode in FastReport.Net - Fast Reports Inc. 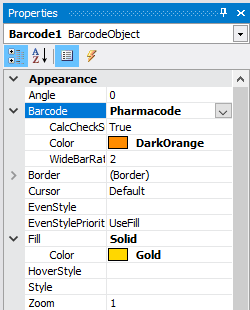 In this article we are going to introduce and explore a new type of barcode in FastReport.Net - Pharmacode. One can guess from the name of the barcode, that it is related to pharmaceutical industry. Pharmacode is a binary code, which was developed by a German company LAETUS GMBH specially for pharmaceutical packaging. This code is widely used as a pharmaceutical product packaging control system. As a part of an automated packaging system, Pharmacode allows you to scan and detect pharmaceutical shipments easily by using universal identifiers. It is also easy to determine, whether the batch is mixed with other drugs by using scanners. Pharmacode is used in pharmaceutical industry as a part of their package management system and it is specifically designed to guaranty reading, despite possible misprints and typos. Also, to ensure that the rest of the package, apart from its code, is correctly printed, Pharmacode can be printed in multiple colors, as opposed to barcodes intended for reading by a laser or a laser emulation. This is possible because Pharmacode is scanned by special white color scanners LAETUS. This makes Pharmacode a very practical format for printing on packagings or documents that do not contain black ink. As it was mentioned earlier, Pharmacode can be printed in different colors. Both the code itself and the background color may be different from the white and black colors. There is a special specification code color combination and background used depending on the type of a scanner for reading. For example, standard black-and-white scanners perceive only a code and a contrasting background, whereas special scanners that recognize the color do not have strict limitations. Unlike other 1D barcodes, Pharmacode stores data in binary rather than decimal. In addition, Pharmacode can only represent single integers from 3 to 131070. The smallest number of lines is equal to 2 for the number 3 and the maximum value is 16 for 131070. Pharmacode should be read from right to left, which makes Pharmacode unique among other linear barcodes. They usually have a start and a stop character. If you read the code from left to right, you'll get an entirely different sequence of numbers. The Pharmacode creator LAETUS describes barcode standard in the document PharmaCode Guide. 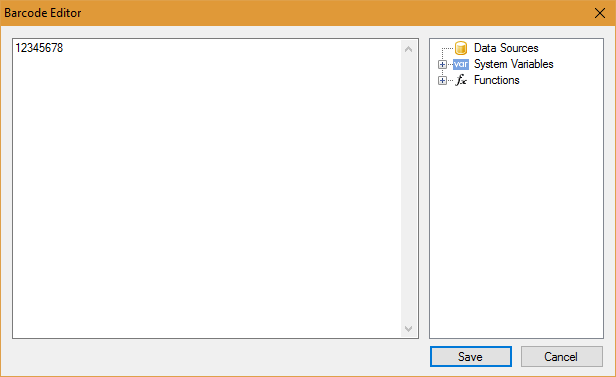 FastReport.Net allows you to create such codes in your reports. You can design a package immediately with a barcode. In the function of the code values you can enter a numerical sequence, specify a function, select a report variable or a value from the database. In barcode propertiesy ou can change: the interval between lines (WideBarRatio), the code height (Height), displaying of numbers (ShowText). What is more important - you can set the code color and background color. Thus, the number of available FastReport.Net barcode formats has increased to 25. That covers all modern types of barcodes and extends the use of the reporting tool in pharmaceutical industry.